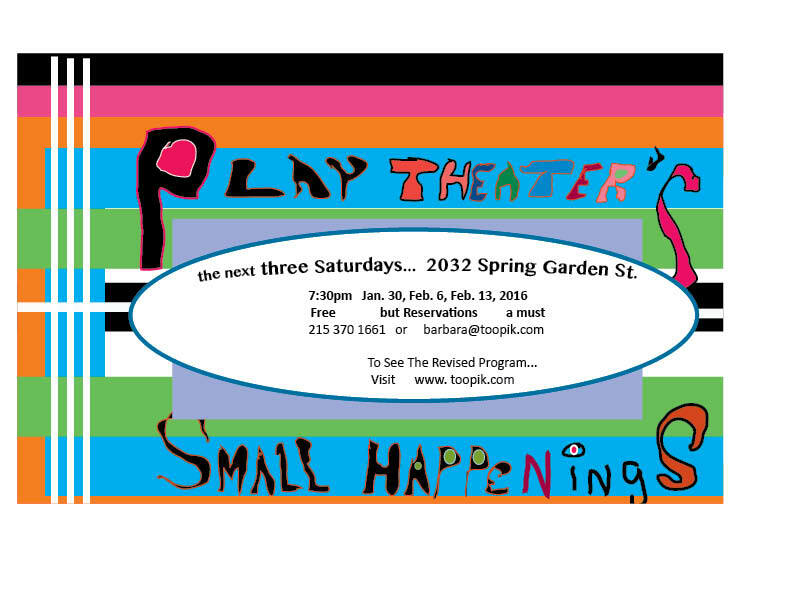 PCB members and friends will enjoy this exhibit. 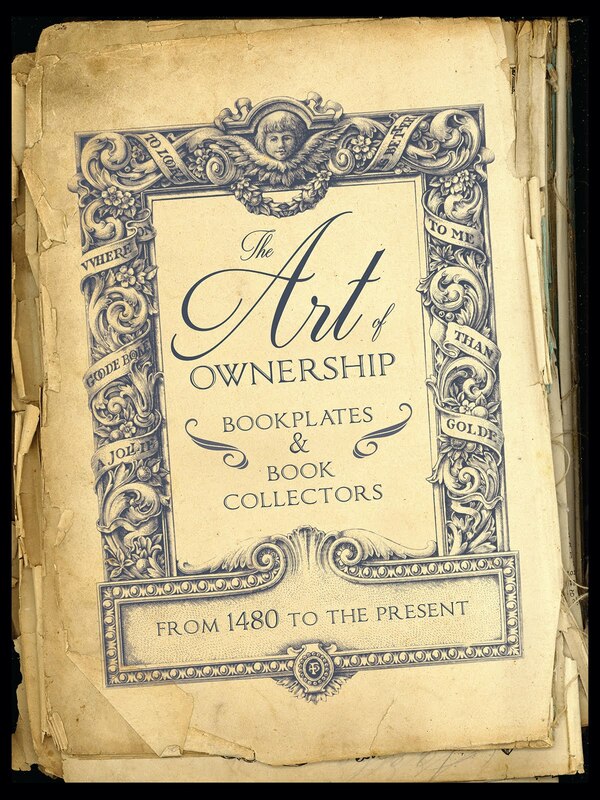 The Rosenbach of the Free Library of Philadelphia presents The Art of Ownership: Bookplates and Book Collectors from 1480 to the Present, on view September 21, 2016 – January 17, 2017. 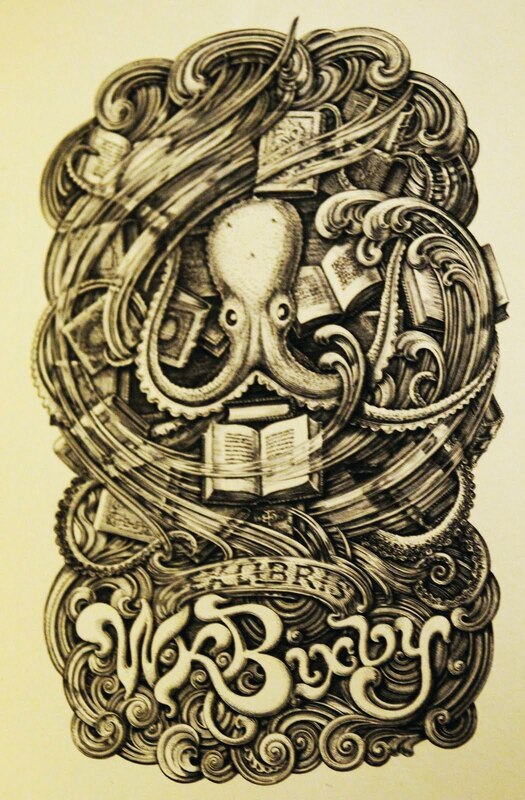 The primary function of a bookplate is simply to indicate the owner of a book, yet book collectors across the centuries have commissioned ornate and evocative designs that do more than designate property. From coats of arms and etched portraits to scenes of libraries and fantastical creatures, these miniature artworks may reveal a great deal about the ancestry, occupation, artistic taste, or philosophy of the men and women who used and circulated them. The Art of Ownership features beautiful and curious specimens from five centuries of books in the Rosenbach's collection, along with examples from the Rare Book Department of the Free Library of Philadelphia, the University of Delaware’s William Augustus Brewer Bookplate Collection, and other regional repositories. 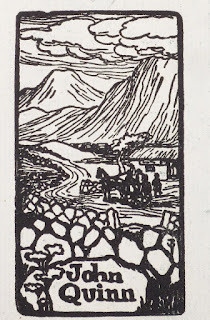 Notable bookplates include the oldest known printed bookplate, a hand-colored woodcut circa 1480 ; bookplates from the personal libraries of King George III and Eleanor and Franklin D. Roosevelt; an Irish landscape designed by Jack Butler Yeats ; and prints by Art Nouveau illustrator Aubrey Beardsley. 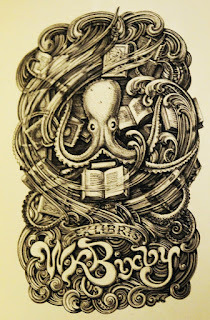 Some bookplates offer whimsical portraits of the book collectors: William Keeney Bixby's bookplate depicts the owner as an octopus grasping books with all eight tentacles , and a lithographic print belonging to E. Norman Sabel depicts an attentive reader who has not noticed that his coattails are on fire. Several remarkable examples belonged to Philadelphian collectors, such as Harry Elkins Widener and Lucy Wharton Drexel. The Art of Ownership was made possible by a grant from the Pine Tree Foundation of New York and endowment grants from the Marilyn M. Simpson Trust and the National Endowment for the Humanities. To learn more about the Art of Ownership exhibition, visit rosenbach.org. Each summer Second Sheet Press hosts an artist whose work demonstrates an uncommon grasp of the printmaking medium and an energetic approach that will likely influence future printmakers. The select candidate is granted 24 hour access to SSP facilities for the one month during the summer, two flat file drawers, a modest stipend, and all critical feedback that membership in a communal print shop like SSP provides. Deadline for applications: May 22, 2016. For more information and to apply please visit secondstatepress.org/opportunities. There is a full-time faculty position open at the University of Utah. Applications welcome. on the Ransom Center's book holdings. Over the two years, the fellow will have the opportunity to undertake treatment projects in the paper and photograph laboratories, as well as design and coordinate a manuscripts collection re-housing project. The fellow will assist the Senior Conservator in defining and developing a new handling orientation for patrons and staff, and serve as a member of The Texas Cultural Emergency Response Alliance. $1,500 to support travel to professional meetings. Master's degree in art, art history, or library and information science and a certificate of advanced study in conservation, or Master of Science degree in Art Conservation. Must have graduated in 2014 or 2015, or expect to graduate in summer 2016. 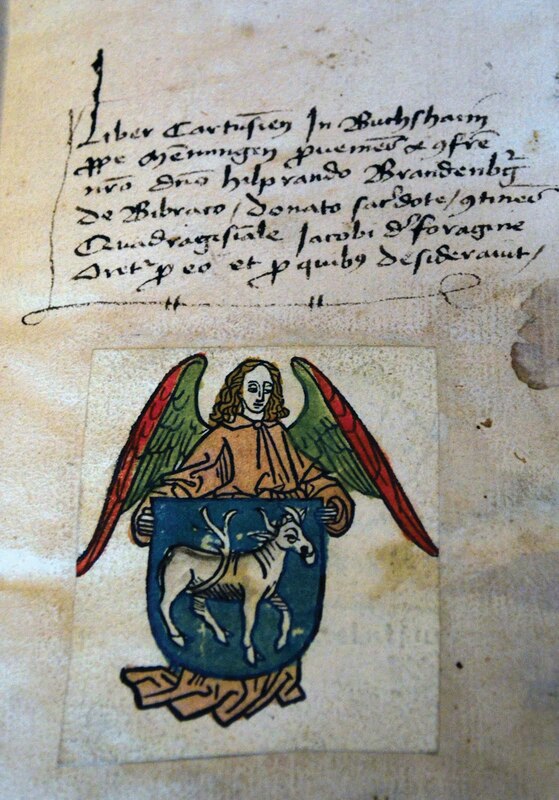 Instruction and/or experience should be primarily in book conservation. Excellent written and oral communication skills. Equivalent combination of relevant education and experience may be substituted as appropriate. and refer to posting number 160303010607. Applicants must upload a resume, submit a letter of interest and contact information for three references. A criminal history background check will be required for finalist(s) underconsideration for this position. The retirement plan for this position is Teacher Retirement System of Texas (TRS), subject to the position being at least 20 hours per week and at least 135 days in length. Mark your calendar for April 1 & 2, the dates for the second Philadelphia Art Book Fair. as well as see the latest from art and photo publishers. If you're interested in exhibiting, check out the web site above. Deadline for applications: Feb. 13. This fellowship sounds like a good opportunity for someone interested in a conservation career. Northwestern University Libraries offer an advanced post-graduate conservation fellowship for a two-year appointment, September 1, 2016 - August 31, 2018. The conservation fellowship provides practical experience in a busy academic library conservation lab balancing treatment responsibilities with professional research activities. There will be the opportunity to gain bench experience, develop skills in treatment decision making, and research a topic of interest. Northwestern University, established in 1851, is one of the leading private research universities in the United States with an enrollment of approximately 15,800 students. Northwestern University Libraries hold over 5 million volumes with collections of international standing in Music, Transportation, and African Studies. The Libraries’ conservation lab is located on the Evanston, Illinois campus just north of Chicago. Description of Duties: Working under the supervision of the Chief Conservator, the Conservation Fellow evaluates and treats special collections materials. 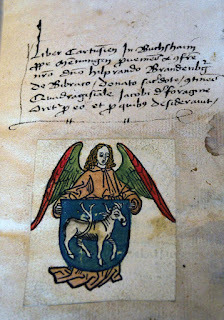 The Conservation Fellow performs a broad range of conservation treatments on rare books, manuscripts, prints, drawings, maps, and other unbound archival and special collections materials. Treatment includes the preparation of condition and treatment reports with an appropriate level of photo documentation. Anticipated projects for 2016-2018 include treatment of a book by Buckminster Fuller, 19th century watercolors, and the repair of a Victorian scrapbook filled with chromolithographic illustrations. The Conservation Fellow may assist other professional staff in the department with surveys, preservation education and outreach initiatives, exhibits-related projects, and disaster response initiatives. Qualifications: Master's degree in library science or associated field, with an emphasis on conservation training, or equivalent combination of education and relevant experience. Knowledge of current conservation principles and practices, material science, and the history of bookbinding and conservation. Demonstrated ability to perform high quality conservation treatments on special collections materials, primarily book and paper, and to communicate effectively about treatment options and decisions. Salary: Annual stipend of $48,000 plus benefits. Northwestern University offers a comprehensive benefits plan, including health care and otherbenefits. Review of applications will begin immediately and continue until the position is filled. Applicants selected for an interview will be asked to submit a portfolio of recent conservation treatments. Northwestern University is an Equal Opportunity/Affirmative Action Employer. Employment eligibility verification is required upon hire. The Wells Book Arts Center is pleased to begin accepting applications for the tenth Victor Hammer Fellowship in the Book Arts. 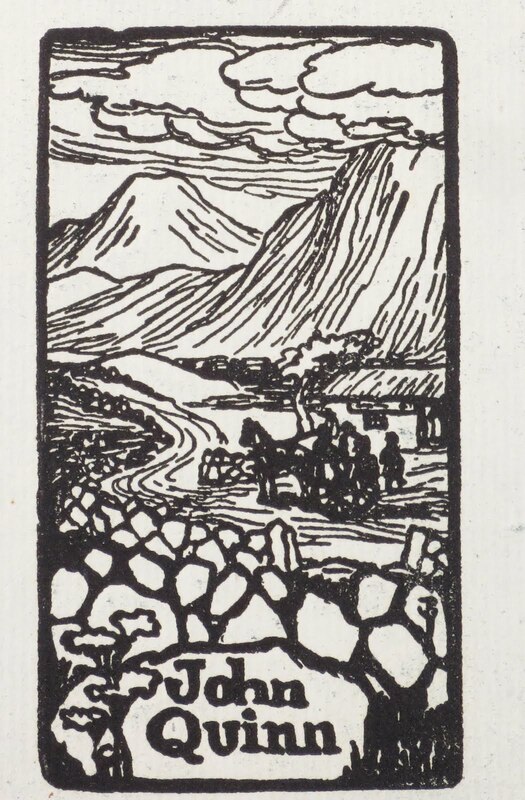 The fellowship is named for Victor Hammer, an Austrian printer, book designer, typographer and portrait artist, who fled Europe to come to Wells College in 1939. 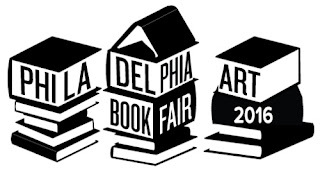 The Hammer Fellowship is a two-year book artist-in-residence program that was founded in 1998 designed to help emerging book artists establish their name in the field. The Hammer Fellow’s expertise and various activities enhance the educational mission of the Book Arts Center and Wells College and increase awareness of the book arts as a field of study and practice both at Wells and in the community at large. The Book Arts Center teaches introductory courses in letterpress printing, hand bookbinding, calligraphy and various upper-level courses in binding and printing. In addition to courses taught in the academic year, the Book Arts Center offers two week-long series of workshops in the summer at Wells College. The successful candidate for the Victor Hammer Fellowship in the Book Arts will hold the position for two years, Fall 2016 through Summer 2018. The position includes teaching two courses each semester, one of which will be Hand Bookbinding I. Duties include production of work for Wells College Press, maintenance of Printing, Bindery and Papermaking studios and assisting the director. The fellowship includes an apprenticeship at the Press and Letterfoundry of Michael and Winifred Bixler in nearby Skaneateles and producing an independent body of work. Applicants must have extensive experience in binding, letterpress printing and papermaking, experience teaching, and a MFA in Book Arts or a certificate in a related field. Applications should include a CV, 15 digital images of the candidate’s own work, 7 digital images of the candidate’s students’ work, a statement of teaching philosophy, and three letters of recommendation. Since the Fellow will assist in the design and production of poetry broadsides for the Creative Writing Program, as well as announcement posters for Book Arts events, images of any such work would be helpful to the search committee. Applications are due by March 1, 2016, and are to be submitted as PDF files via an email to wellsjobs@wells.edu with Victor Hammer Fellow noted in the subject line. Wells College actively seeks to diversify faculty and encourages candidates to apply who can further expand the program through multicultural approaches and is an equal opportunity employer. No phone calls please. 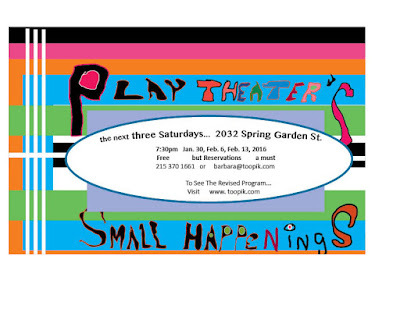 Members of PCB are invited to share their books in Play Theater's Small Happenings, a series of three Saturday evening performance on Jan.30th, Feb. 6 and 13th at 7:30 pm. Art Books will be shown every evening, and if a member is interested in sharing, contact Barbara Toothpick at www.toopik.com.